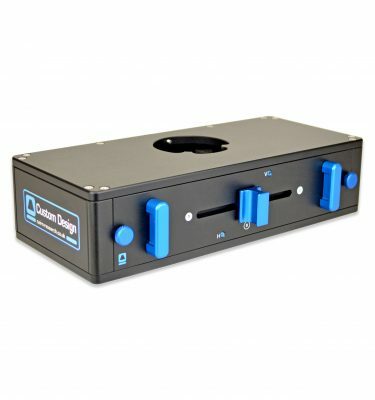 We consider launching photons into micro and macroscopes to be equally as important as the light sources themselves. 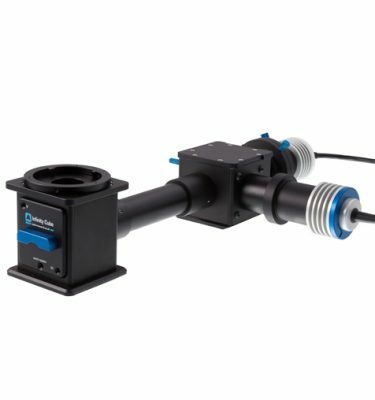 Researchers will often already have perfectly good illumination sources so our focus is on making our couplings compatible with laser, arc lamp and LED illuminators from ourselves and other manufacturers, and ensuring that they are modular so that they can be easily upgraded, reconfigured, or moved to different microscopes. 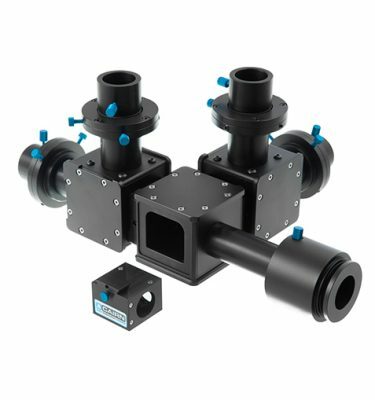 Our coupling system is designed for up to four different sources with fine alignment control using X-Y adjuster or steering mirrors.